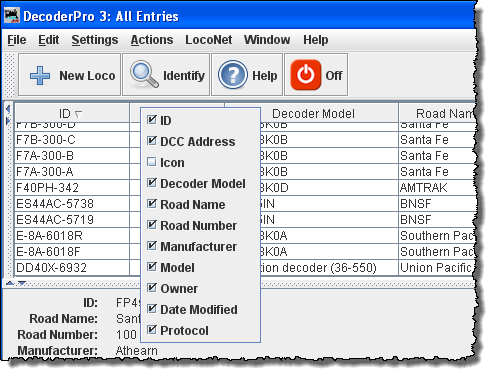 The Roster Table in the main body of DecoderPro displays all of the locomotives in your roster or selected roster groups. 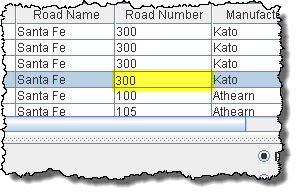 SORT by any column by clicking on the column header. Roster above is sorted by DCC addresses. Hide/show any column by right clicking anywhere in the Roster header and checking columns to be displayed and unchecking columns to hide. Selecting Actions using Context menu (Right Click ) on locomotive selected. Select the action you would like to perform. Double Click on Selected locomotive and Programming Window will open. 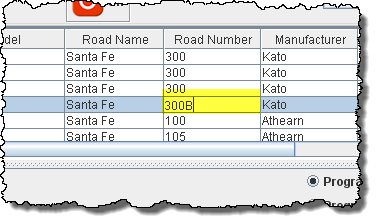 Editing column of a Roster Entry in the table. select locomotive then click on column that you want to edit. Type your change. The following columns may be edited. 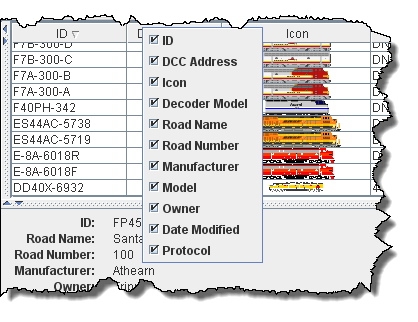 Column sequence may be modified and Saved. 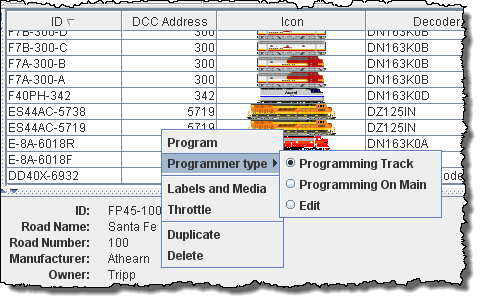 Just Drag and Drop the column header to the desired position. Column Width may be changed by grabbing the divider between the column until the double headed arrow shows and move the arrows to the desired column width. You may use the same technique to resize panes or the main window.